When Fudge Ripple's recipe for "Chocolate Malted Risotto" popped up on my blog reading list this morning, I was instantly roped in. Risotto is a household staple, but it's always savory, usually with mushroom and kale, sometimes with sausage. I have never made - or even envisioned - a sweet risotto! But, as always, not having some of Christy's ingredients, I used her recipe as an inspiration and used my own cooking experience for this culinary adventure. 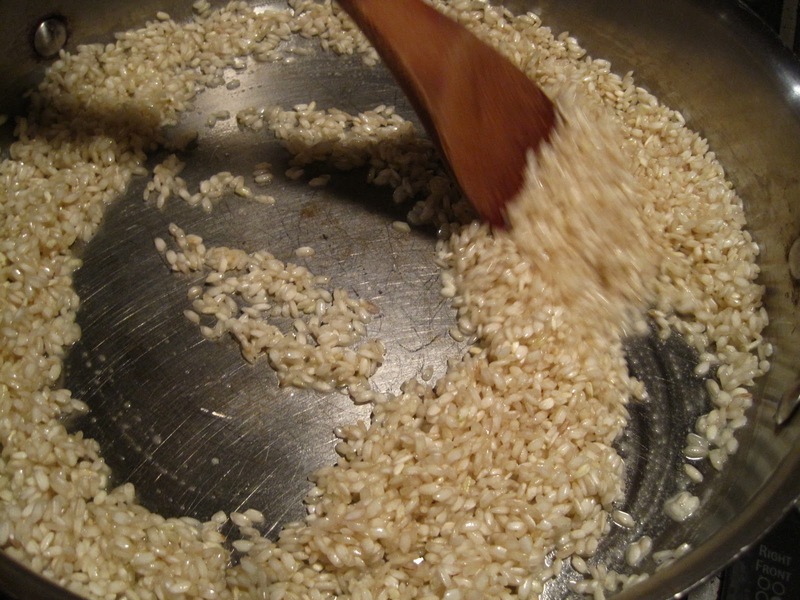 I began by toasting the arborio rice* with a pat of butter in one pan and simmering milk - generously spiced with ground nutmeg, ground cinnamon, and ground cardamom and lightly sweetened with raw sugar - in another pan. Ladle by ladle, I spooned the hot milk into the risotto pan, stirring until the milk was absorbed. While the rice was still firm, I added of unsweetened cocoa to the pan and continued adding milk and stirring till absorbed. Once the rice was soft, but still with a bite, I removed the pan from the heat and stirred in marscarpone cream. 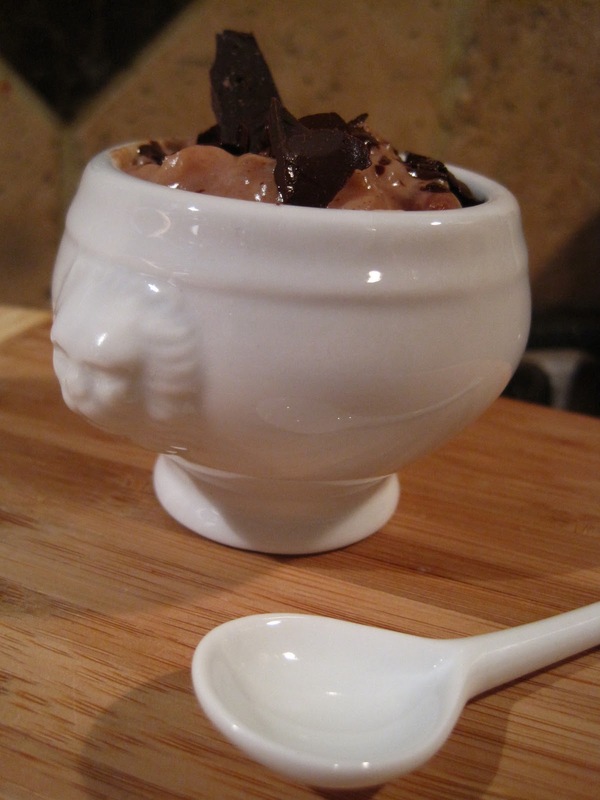 Because this is such a rich dessert, I served it in mini soup tureens, garnished with shards of dark chocolate. What a hit! Thanks to Christy at Fudge Ripple for the creative inspiration. *The rule of thumb that I was taught in Italy: you use one handful of rice per person that you're feeding and add an extra one for the pot. what an awesome, unusual, recipe! i feel like this needs a try just for curiosity's sake! That looks simply delicious. I love rice pudding, but would never thought of making a "risotto." I didn't even know you could make sweet risotto! 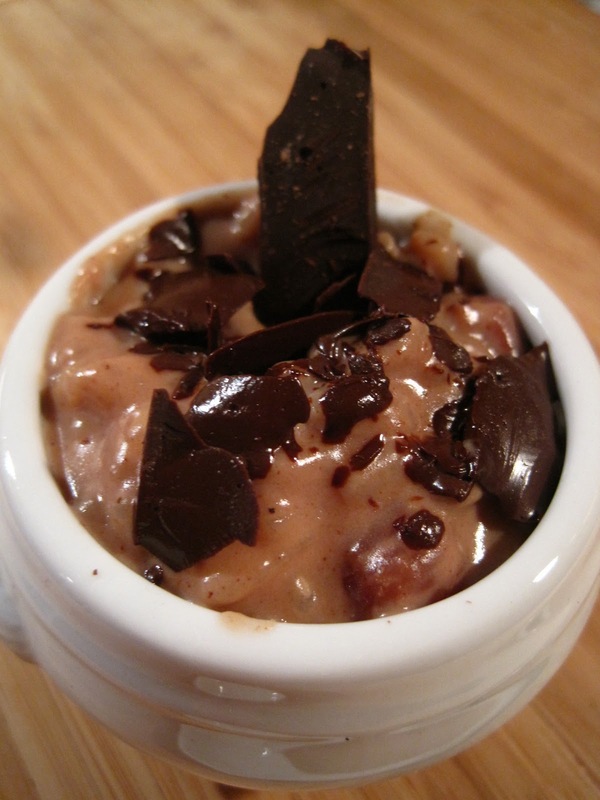 It does sound similar to rice pudding, but even better in chocolate! Christy and Camilla -- two of my favorite food bloggers. So cool to read how the inspiration flowed! Camilla, as always, a mouthwatering creation! I know I'd love it! Always a pleasure to have you be a part of "A Little Birdie Told Me..." Tuesday at Rook No. 17!! What a unique and delicious looking recipe! This sounds delicious! I've tried a similar filipino chocolate rice pudding before bit it's not made like a risotto, I'm intrigued! Found you through Sweet Saturdays round up, I'm on there too. Thanks for the inspiration! !